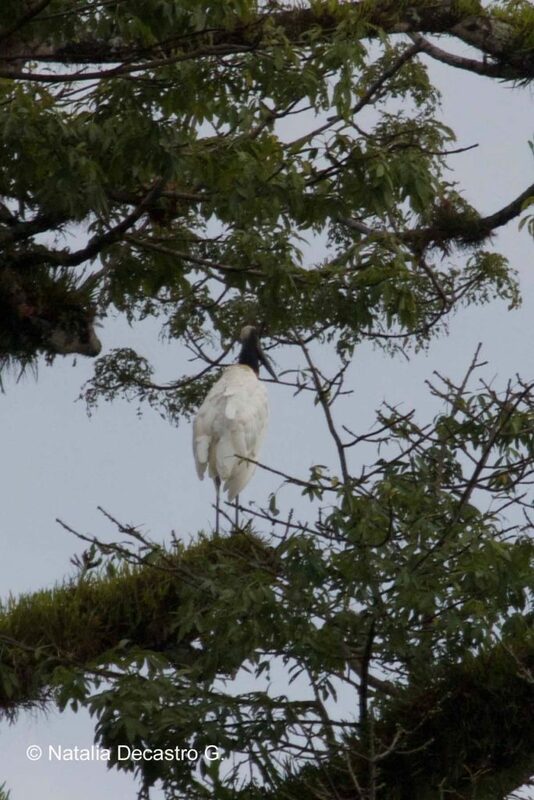 Jabiru (Jabirumycteria) observed in the Chiriqui Grande area, Bocas del Toro lowlands. Personally 2016 was a very exciting year. It brought me one of my “dream birds,” the Jabiru (Jabiru mycteria), which was another addition ro our Western Caribbean Slope Bird list. We ended 2016 with a total of 514 species, a very impressive number, and hopefully this new year will bring some more species to our list. Some of you are probably wondering what is included in our Western Caribbean Slope Bird list. Basically it is a compilation of all the birds we have seen in the province of Bocas del Toro and the neighboring area of the Chiriqui province, near the continental divide. Or more simply, the birds we have seen in the areas where we go with our guests for birding excursions. The elusive Limpkin (Aramus guarauna), an uncommon species in this part of the country, was also a new addition for our list. I still remember, as if it was yesterday, how exited I got. Not many words would come out of my mouth, but enough to put everybody on the bird and enjoy the beauty of it. Do you remember Jennifer Wolcott? What a great birding day we had! We also added another species that is very common in other parts of the country, but not in Bocas del Toro. 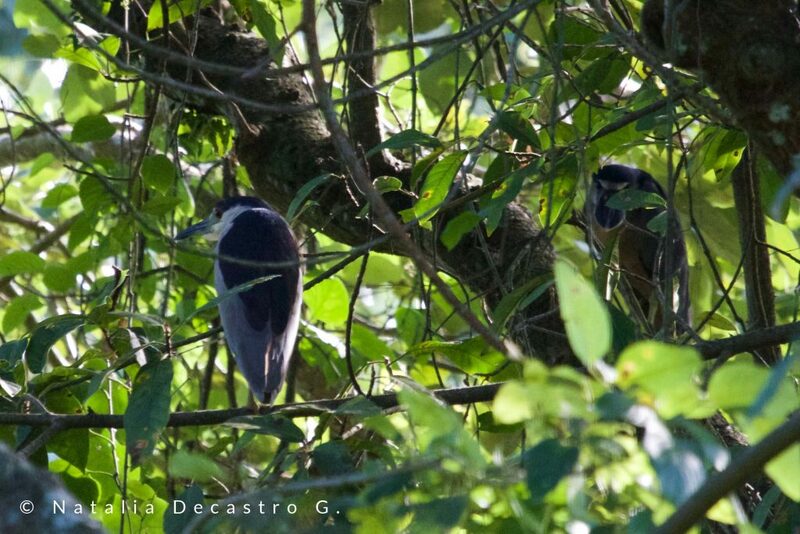 In over a decade of birding in Bocas del Toro, we saw the Black-crowned Night-Heron (Nycticorax nycticorax) for the first time. Not a good picture, but a very happy moment of my first Black-crowned Night-Heron (Nycticorax nycticorax) in Bocas del Toro, next to a Boat-billed Heron (Cochlearius cochlearius). The latest addition to our Western Caribbean Slope Birdlist, is a specie I have been hoping to see since I was a little girl. This bird is often seen in the nature documentaries of Latin American tropical birds, I am talking about the spectacular Jabiru (Jabiru mycteria). The Jabiru is the biggest stork found in the Western Hemisphere. They can reach a hight of 131 cm (52 in) with a wingspan of 256 cm (102 in). It’s found from Mexico to Argentina. 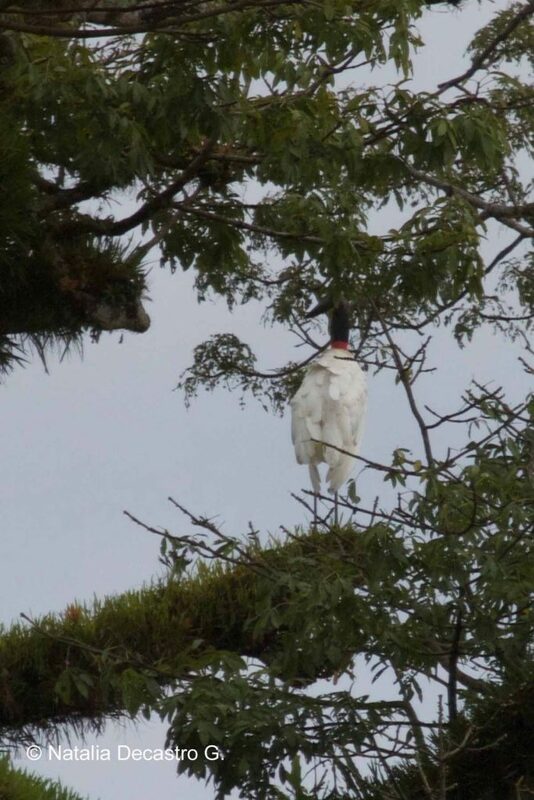 Besides its size, the best way to recognize this species is the entirely white plumage in flight with the bare black head and neck, and a pink or red ring around the lower part of the neck. The populations of this species in some countries of South and Central America are abundant, but the situation is completely different for countries like Panama, where the specie is vagrant. A vagrant species means the bird is hundreds of miles from its familiar territory, and that is what makes this observation a very special and exciting encounter.